Coleen and Greig Pirie received a very special present yesterday with the birth of their daughter eight weeks early. Two sets of parents have received the best Christmas presents imaginable with the births of their first children. It's been dubbed the best Christmas advert of all time. 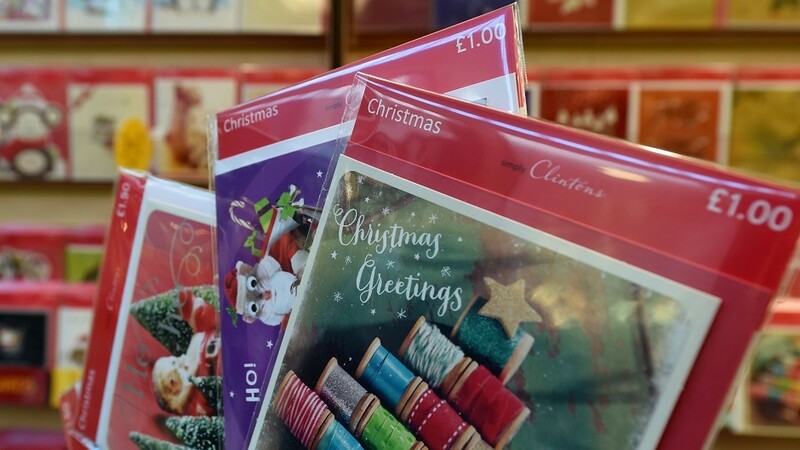 A north-east church will open its doors for its annual Christmas card delivery service next month. The best possible Christmas present arrived early yesterday morning at Dr Gray’s Hospital in Elgin as one family welcomed a new baby boy into the world. The first Christmas baby in the Highlands was described as the “best present ever” by his delighted mum. A north-east woman has started a new tradition by giving up her Christmas holidays to raise money for charity. A competition was launched last week to find the best elf pictures from the north and north-east. A charity that supports addicts is working to ensure their journey to recovery continues over the festive period. A family are celebrating Christmas in style by building a Millennium Falcon - on their roof. If you haven't finished your Christmas food and drink shopping list, why not add these tipples for the big day? A cancer patient has released her own Christmas single to give back to the charity helping her through the illness. A group of Syrian refugees created a festive feast to thank a Deeside community which welcomed them after they fled their war-torn homes. Householders across the UK spend a staggering £2.3billion each year on Christmas trees, decorations and trips to the pantomime, according to Go Compare. Christmas for many of us can be one of the most exciting times of the year. A much-loved winter festival has finally returned to Moray after cold weather delayed the opening. A pupil’s charming drawing of a family of gingerbread people has won Richard Lochhead MSP’s Christmas card competition. A master baker has created a jaw-dropping nativity scene - from a whopping 100kg of marzipan and icing. Aladdin was given a jet powered boost to his magic carpet after an aircraft hangar was transformed into a Moray pantomime venue. It is sure to make the top 10 of many people's best Christmas films. A pensioner who brings cheer to children every Christmas has put up his final festive garden display this year. Hardy swimmers are being asked to brave the winter chill to take part in the 10th anniversary of an annual lifeboat challenge. Hundreds of youngsters watched on yesterday as the true meaning of Christmas was celebrated. Which Christmas tree is the right one for you? While evergreen fir trees have been used to celebrate winter festivals for thousands of years, having a decorated Christmas tree in the home, in the style we are used to, has only been popular in the UK since the 19th century.